Arachnophobes beware. A shoreline by the Greek town of Aitoliko has been swamped by a mass of mating spiders and 1,000 feet of their cobwebs. Earlier this week, a local named Giannis Giannakopoulos uploaded a YouTube video and posted several pictures of the spectacle on his Facebook page, showing shrubs, palm fronds and other greenery completely veiled by spider webs. Kentucky-based biotechnology startup MosquitoMate was given U.S. government approval to release bacteria-infected mosquitoes in several states. The company's lab-grown Aedes albopictus (aka ZAP males) are designed to halt the spread of mosquito-borne diseases. A confidential internal document obtained by civil society groups shows genetically modified (GM) mosquitoes described by their manufacturer, United Kingdom (UK) company Oxitec, as “sterile” are in fact not sterile and their offspring have a 15 percent survival rate in the presence of the common antibiotic tetracycline. In the study described in this document, the genetically modified mosquitoes were fed cat food containing chicken contaminated with low levels of tetracycline, and many of the mosquitoes were able to reproduce, with their offspring surviving to adulthood1. A redacted version of the document, released to GeneWatch UK under freedom of information laws, shows that the company tried to hide the evidence that its technology will fail to prevent reproduction in the presence of low levels of tetracycline contamination2. Oxitec’s technology aims to prevent the progeny of GM mosquitoes from surviving in the wild. The fact that it fails in the presence of low levels of tetracycline is cause for concern, the groups said, raising the spectre of genetically modified mosquitoes surviving and breeding, producing adult populations of GM mosquitoes, including GM females which can bite and transmit disease. The antibiotic tetracycline is widely used in agriculture and is present in sewage as well as in industrially farmed meat. Mosquitoes that carry dengue fever are known to breed in environments contaminated with sewage where they are likely to encounter widespread tetracycline contamination3. Failure of the technology in the presence of tetracycline contamination could lead to a rebound in cases of disease and biting GM females might cause unknown impacts on human health, such as allergies. The ecological implications of GM mosquitoes surviving and breeding are also unknown. Even in the absence of tetracycline contamination, the GM mosquitoes are known to survive in the laboratory at rates of around 3 percent. In the field, this would translate into large numbers of survivors, given that continual releases of millions of GM mosquitoes would be needed to sustain the goals of population suppression. 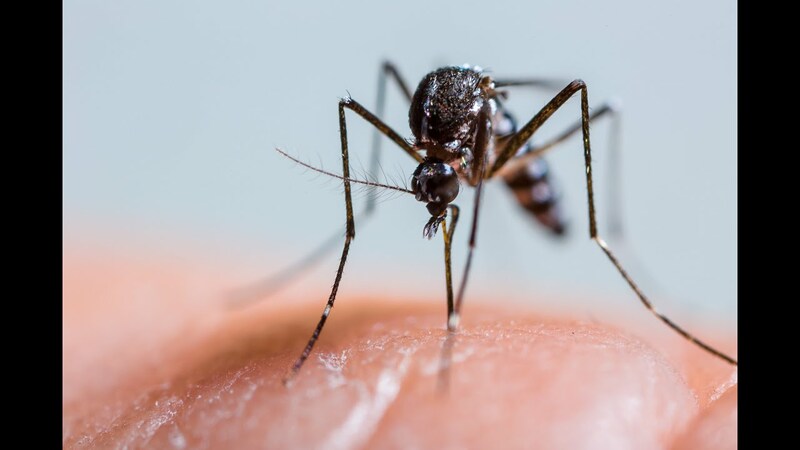 Oxitec has released genetically modified mosquitoes in field experiments in the Cayman Islands, Malaysia and Brazil, and is planning a release this year in the Florida Keys. The GM mosquitoes are intended to reduce the wild population by mating with naturally occurring mosquitoes and producing progeny which don’t survive, thus reducing the population and therefore the transmission of the tropical disease dengue fever. The company has been widely criticised for putting its commercial interests ahead of public and environmental safety4. Its first releases of GM mosquitoes took place controversially in the Cayman Islands, where there is no biosafety law or regulation. Oxitec staff have been closely involved in developing risk assessment guidelines for GM insects worldwide, leading to concerns about lack of independent scrutiny and conflict of interest. Other countries where releases of Oxitec’s GM mosquitoes have been proposed include Panama, India, Singapore, Thailand, Vietnam, the Philippines, Costa Rica and Trinidad & Tobago. The company has also proposed releasing GM diamond-back moths using the same technology in Britain, with the aim of reducing the impact of these pests on cabbage crops. The findings revealed in the document seriously call into question any use of Oxitec’s patented RIDL (Release of Insects carrying a Dominant Lethal) technology, which depends on the use of tetracycline as a chemical switch to allow breeding of GM insects in the lab. 1. The Oxitec document “Eliminating Tetracycline Contamination” is available by clicking here. At the end of page 2 it states: "Tetracycline is very efficient at binding to the tTAV and switching off the enhancement effect. Therefore, even small amounts of tetracycline can repress the RIDL system. This was highlighted by a difference in results seen between our laboratory and a collaborator. They were getting 15 percent survival of a transgenic line and we were getting 3 percent. After a lot of testing and comparing experimental design it was found that they used a cat food to feed the larvae and this cat food contained chicken. It is known that tetracycline is routinely used to prevent infections in chickens, especially in the cheap, mass produced, chicken used for animal food. The chicken is heat treated before being used, but this does not remove all of the tetracycline. This meant that a small amount of tetracycline was being added from the food to the larvae and repressing the lethal system." 2. The redacted version of the document is available by clicking here. It is one of the documents included in a package sent to importing countries by Oxitec under international rules which apply to the transboundary movement of GMOs for open release into the environment. Parts of the document that were blacked out before release to GeneWatch UK and to the UK Parliament include the 15 percent survival rate. 3. For an environmental impact of antibiotics and tetracycline on environmental systems, click here. For unusual productivity of Aedes aegypti in septic tanks and its implications for dengue control, click here. For Septic Tanks: urban breeding grounds for virus-carrying mosquitoes, click here. For The Effect of Water Quality in the Life Cycle and in the Attraction for the Egg Oviposition of Aedes aegypti, click here. For Urban sprawl, bad sanitation spread dengue fever, click here. 4. For GM Mosquito Trial Alarms Opponents, Strains Ties in Gates-Funded Project, click here. For GM Mosquito Release in Malaysia Surprises Opponents and Scientists—Again, click here.